Bob Eckert is a Senior Partner at New & Improved, LLC.. His focus is on overcoming organizational challenges, team development, productive relationships, productive thinking and leadership development. 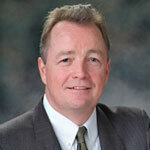 Bob uses his training and coaching skills to makes change efforts stick. The author of numerous articles and books, his most recent (co-authored with Jonathan Vehar) is More Lightning, Less Thunder: How to Energize Innovation Teams which details a model for healthy human development in the service of great personal creativity and the emotional intelligence that leads to great team membership. Maple Syrup season at our Adirondack office inspires us to boil things down to their essence. 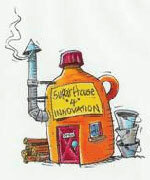 What follows is our distillation of what really works to create a sustainable innovation culture.